"The solution is to raise your vibrations through the heart to beyond their reach. This frees your attention to do your inner work which is accomplished by using something similar to the Giveaway to remove energy blocks for previous trauma, making room in your body for reintegrating the higher self." I've heard reference in his videos about the 'giveaway' concept, but not totally clear how it works. I'll look in this forum to see if it's explained here. I'm still waiting for my Universal Soul book to arrive, hopefully next week. The importance of the Giveaway cannot be overemphasized. Yes our true history is also helpful with our discernment and our connection to our Higher Self, but the Giveaway is what sets the process of reintegration in motion. It is the most important part of Chris Thomas' work and information. For that reason I am putting it in enlarged type. Throughout our lives we find ourselves in situations where we feel we are unable to express ourselves as fully as we would like. This can be with members of the family, with friends or colleagues or with our employer. The problem is that all of the unexpressed emotions of these kind of situations become lodged in our internal organs. If the emotional debris becomes too great, it can cause the organ to break down and generate symptoms of illness. This has been bad enough in the past but, as we undergo our process of change, the storage of old emotions will actually hold us back if not actively prevent us from moving forwards. Obviously, these stored emotions need to be removed from our bodies. The best way of clearing these emotions is to confront the person who brought about the emotions in the first place and express to them how you really feel. If you are unable, for whatever reason, to do that, the next best way of clearing these store emotions is with a process called “The Giveaway”. What you will find is that once you start, all sorts of emotions and situations that you thought you had dealt with will come to the surface and you will realize that you are carrying a huge amount of emotion from your past. The most important thing to remember about this exercise is that: YOU DO NOT READ IT BACK. The reason for this is that if you read back what you have written, you will take all of the emotions back in and have to start again. This is the reason for the newspaper and the pencil; it is virtually impossible to read pencil on newsprint. It is also the reason for the candle; if you use this exercise in the evening with only candle-light, it makes it even more difficult to read. The optional glass of red wine is included as it helps you to relax and allows your expression of held emotions to flow more freely. So, find a quiet time in your day where you will not be disturbed. Collect your newspaper and pencils and sit down somewhere comfortable. Think about something that has happened recently which made you upset but you could not express yourself fully. Using a pencil on the newspaper, start to write to the person who brought about the emotions. Write in whtever language you like – the stronger the language the better. As you write, you will find that other emotions connected with other events come to the surface. That is fine, you can add those to what you are writing – just keep on going. Don’t worry if you cannot burn it, just rip it up into the smallest pieces you can and throw them in the rubbish. You will need to do this exercise many, many times. This is not just a one-off exercise. You will know when you have written enough about a particular situation when you are able to think back on the events and not feel any emotion at all. If you think back and still feel emotions rising up, you need to do another giveaway. This exercise sounds far too simple to do you any good. Try it and you will find that a huge weight feels as though it is being lifted from you. You can also write to inanimate objects that have caused you stress – such as broken pipes, a leaking fridge, traffic jambs, queries in the supermarket, etc., etc. It makes no difference what the situation is, write a letter to it and it will clear out the emotions. Just remember DO NOT READ IT BACK or you will undo all of the work you have done in writing by taking all the emotions back into the body. This exercise works and works extremely well and will actively help; you through your transition. Intuition is also greatly magnified during the process of reintegration because intuition is a product of experience, conscious and subconscious, including past life experience of 100 million years which is found in your reactivating, dormant DNA. Intuition is related to the Divine Feminine in each one of us, although slightly more in most women which , being a man, I can say makes many of them so wonderfully mysterious. Intuition seems mysterious because it comes from FORGOTTEN experiences we mostly do not remember. So as you come to trust your instincts you just know things but seldom have an explanation for how you know them. For example you may hear someone's words, like Chris Thomas or Harold Kautz or Penney Pierce, and you "just know that they have spoken truth." Intuition is the opposite to a belief system which is mostly about faith in something like science or religion. Intuition does not require the Divine Masculine proclivity for explanation, although here I am explaining it. With experience you come to trust in your intuition to the point where engaging the Higher Self becomes a matter of first trust and then, more to the point, understanding. This is why it is very beneficial to link with others who are experiencing reintegration. So you add to and magnify each other's profound experience and of course there will be certain people you can most resonate with when it comes to experiencing such a link. In C.T. 's book Synchronicity you will find an appendix for connecting with your chakras. And another for connecting with your Higher Self. And a third appendix for receiving answers from the Akashic if your Higher Self deems you are ready. I am linking this video because it is very helpful in understanding and linking to our higher abilities. Last edited by Herbert, 27th September 2016 at 21:15. Learning our TRUE HISTORY is therapy for the human race. Great questioning and reading in this thread. Thank you Herbert for the time you put into it. It is now a great go-to place I link people interested in CT.
Facebook. CT said this would happen but I cannot remember which book/essay/interview. Each person’s life is a work of art. Each stroke of the brush reflects your integrity; learn to listen between the lines and speak from the heart. This thread is not meant to reflect the limitations of the society that we know all to well. It is meant to approach the vision we all have of a free Earth where all life flourishes and no one feels repressed or intimidated; where animals run free to play in their natural habitats; where human cities are built with the presence of nature foremost in mind. We are all friends here having a discussion and when people and their views are treated with respect, there is no need for the kind of words which inevitably lead to arguments. Every contribution is welcome, and if a topic is entertained which Chris Thomas has not touched on, just as he would say: he is not our Guru, and we are free to consider alternative views. In fact we have every right to look at all the angles as to their truth. I think the majority of us have learned that words are not as conducive to understanding as we would like. Sometimes they can be used, as in a poem or story, where the feelings invoked are the message rather than the words. The story does not even have to be true for it to touch the realities of perception we once knew when we were Wholly Human; A memory of being all that we can be, full of new ideas and the burgeoning energy to create. Human kind was always meant to work as partners along side the Faerie folk in the role of nurturing all of life in its lush variety. Animals are here to be our friends. Man cannot own an animal. Like all of humanity, animals are here to love and to be loved. To know something is absolutely true with all your heart is an inner soul trait that we all aspire to. Words cannot describe that symphony of perception that George Kavassilas speaks of and that Chris Thomas relates in his experience of full soul integration. We lighten the path together when we connect Ego to Heart feelings rather than mind thoughts of separation. It is the divine feminine energy that connects us to the Earth. The masculine is about explanation and change. The feminine is about experience and creativity. In every one of us they seek energetic balance and hence our benevolent powers of creating beauty, just by being our true selves. It is the feminine energy that connects us to the Earth. Stop seeing a field as a potential building sight. Honour the presence of the divine in every single blade of grass and in every single atom. That was the tradition of our ancient Celtic and Indigenous tribal ancestors. We understood that all life is sacred in this world. Those who have awakened to the divine feminine have the job now of re-enchanting the world. That we may begin to walk on the Earth with more reverence and to walk in gratitude for what we have. In so doing we actually evoke and create abundance into our lives. The new creation will weave together the best of our past with the best of our presence. The new world will be a place that celebrates life and death, the heavens and the Earth, that sees heaven in the Earth, that celebrates the creativity of every single human being, that understands . In fact the reverence codes of the Brehon laws were based on the right relationship, to be Just was to be in right relationship, to be unjust was to break the bond of relationship with yourself, with your neighbour, with family, god, with the land. The whole idea of sovereignty was so much a part of the ancient ways of this land. Sovereignty was to be aligned heaven to Earth and to live within the core placement in yourself, that you lived your truth because you went into that core place to find how you needed to move forward and it was never about expediency, it was about truth. I believe that we have lost the concept of a vision for our lives and have replaced it with the next thing we can accumulate or the next thing we can buy. We hardly ever ask what is it I came here to do. What are my particular talents and gifts that I can offer into the world that I am co-creating? Tell us what it is you want to do with your one wild and precious life. A question that should be at the heart of our education sytem. And the idea that if I am walking my path of truth then the Universe comes in and supports me in everything I need. A sense of well being and a sense of self worth. Inelia has stated in the past her agreement with Chris Thomas that people should not be distracted by world events, but rather should focus on their own inner work to clear their bodies of energy blocks in order that they may embody their own power, responsibility, and vision for creating our future through integration. We are not out of the woods yet apparently, as yet another scheduled end of the world comes up in about a week from now. And it doesn't matter if you are reading this in 2015 or 2017, it's very likely there's a scheduled end of the world scenario every month for the next several years or decades. And... at least three spiritual teachers have fallen off their pedestals by exploiting their followers sexually, emotionally, mentally and sometimes financially too. There are now dedicated sites stating that all spiritual advancement, empowerment sites and teacher are bull**** and their followers are now liberated, going back to "real life" and rejoining the workforce. At a personal level, I have found myself to having to set up strong boundaries with new and old acquaintances and individuals as well as having to cut people off and ban them from my life. It's been more than traumatic! It is almost like sleepers in our lives have been focused and triggered to "attack". People who were mostly keeping their evil intent and insecurities (their true colors) under wraps, are now on the warpath. Not only that, but people who are awake and awakening, can now see the real reasons and true intent of those sleepers. And they are finding it hard to "excuse" the sleepers behavior away. So... what does all these social and personal attacks, fear mongering, warring havoc mean? Why now? We entered the present accelerated evolutionary locational window in the universe about 200 years ago. The 1800s saw the first incling of it. Our society and the lives of the most oppressed began to shift and change. You may think that there are plenty places on the planet that life is still super hard for certain sections of the population. And that is true, but even there it is easier for them today than it was 200 years ago. The epicenter of that locational window is coming up on us now. We are inside the center and getting to the most "dense" point of the energy which exists here, which can be most accurately described as "infinite potentiality". The epicenter is about 2 years long. After that, we go back to more "stable", "slow" and "established" reality. By pumping the alternative media, and the main media, with fear stories, doomsday stories, and end of the world or humanity stories, the people who want to keep a power over others game going on Earth are simply collecting their "stock". Individuals who subscribe to all those stories and fall into fear, and those who become spiritually, emotionally and mentally exhausted and give up on their own awakening, are simply cattle being duly guided back to their barn to be milked like good little cows. And what is the main indicator of who is being taken back to the barn and who is not? Well, even among the most "spiritual" of people, the ones that are going back are those who give their own power away. What does giving one's power away look like? Well, one way is to believe that the Savior of the Universe is HERE and he/she/they are making sure you are SAFE. Have you heard that lately? Yeah, just a line to the old paradigm where saviors where "the only ones" who could liberate eternal, divine, all powerful beings, from enslavement. Like an eternal, divine powerful being could be enslaved. But people when they start to wake up, still have powerful firewalls that tell them they are not as "powerful" or "wise" as another person or being. So, there are lightworker traps out there that snare them in and keep them busy until the lightworker gets wise or exhausted. If he or she gets wise, they step away from the dogma they were following and continue their journey in a more eclectic and self guided way. If they get exhausted, they call all spiritual teachers "cult leaders", go back to their church, job and 9-5 matrix. But most don't even make it that far. Most people who are waking up get snared in the "doomsday" scenarios, stories and whistle blowers. End of the world dates come and go over and over again. And whistleblowers (45 top secret levels above the President of the USA) come and go, come and go. They say some interesting things, to pull people in, then they go on a tangent. And what does this cause? Well, most individuals will at some point get tired of it all and go back to their 9-5 lives. Others will realize that this age and time is about them taking responsibility for their own expansion of awareness, spiritual development, and move into the "spiritual community". Most of these will then fall prey to people who are ready and waiting to take their power. People who have "a unique and the only way, or group of extra dimensional beings" that fixes everything, or is the salvation of the individual and the planet. Because of all the many programs the human population has that makes them give away their power, most of these individuals will then fall into these traps and either spend the rest of their life waiting to be saved, or ... leave their spiritual journey because "it's all a load of BS". But some make it. And if you are still reading this article, that means YOU. After that journey, or parts of it, the person realizes that they ARE powerful. That all they need to do is learn how to take back and use their own power, stop giving it away, and become highly eclectic in their self guided spiritual and evolutionary education. The person has graduated to follow their own guidance. Now they can go out into the world and learn everything that resonates with them. Drop everything that doesn't, and become powerful, able, and deprogrammed. 1. deriving ideas, style, or taste from a broad and diverse range of sources. "her musical tastes are eclectic"
of, denoting, or belonging to a class of ancient philosophers who did not belong to or found any recognized school of thought but selected such doctrines as they wished from various schools. 1. a person who derives ideas, style, or taste from a broad and diverse range of sources. [I would just like to point out that if you vote in the coming elections, knowing full well that their really is NO CHOICE in the mind-controlled candidates or kind of government you are voting for, then you are exercising your right to be screwed and that means giving your power away!!! I nearly posted this article today, Herb. I agree totally with what she has to say about this, as we're experiencing it here on the forum presently. Malc is under attack presently by members and non members. We should all be aware of this and give him our support to rid ourselves of this attack. I've given him my support anyway. I remember something Chris Thomas had said about the non physical souls: “Once the physicality of Earth was in fact created, the non physical souls [Angels] said that it was quite a marvellous thing, the various life forms, the beauty of the sky, the oceans & mountains, the variety of living forms, it was just incredible. Only one thing was missing... they could not smell the flowers, they could not experience the taste of the fruit, they could not feel the rain making everything wet. They could not feel the warmth of the Sun. So, existence provided for each non-physical soul the opportunity to build for itself a physical body with the help of the Earth soul. This was so that the non physical "angels" could also experience the physical world, experience for themselves what this beautiful planet Earth had created. souls incarnated as human beings and the universe became a better place because of these experiences." Throughout the Universe, many, many billions of souls exist; some are souls that make up galaxies, some are souls that make up solar systems, some souls are more or less “human sized” but have no physical density at all, some are also more or less “human sized” but do have physical bodies that are considerably less dense than human bodies. So there was a form of life that was missing – “physical” life-forms that live on “physical” planets. This is the purpose of our solar system – to explore the possibilities offered by being physical. A region of an outlying galaxy was selected to be the host for this physical experiment where a sun already existed. This lone sun was also a consciousness, a soul. This solar soul agreed to provide the nurturing energies to a solar system that was formed from thirteen souls who wished to take on “physical” energy densities and explore the different forms of life that being physical could conjure up. This all happened 40 million years ago. This time-scale is greatly at odds with current “scientific” thinking but this is the time frame that is recorded in the Akashic. The scientific time scale, that of 4 billion years, is based on the assumed age of a meteor that could have arrived on Earth from anywhere within the Universe and so is no more than a false assumption. Our solar system is contained within an energy “envelope” that is shaped a little like a rugby ball. This envelope was necessary in order to keep out all of the other energy patterns that exist within our galaxy and within our Universe – there is not much point in creating an experimental region of space if it could be contaminated by energy patterns that could make the experiment pointless. So we exist in a controlled and protected “envelope” that originally contained thirteen souls who had taken on the role of forming physical planets that could create and nurture as diverse a range of physical forms of life as possible. All thirteen planets began to form 40 million years ago, each expressing the “personality” of their soul in the forms of life they created. Individual souls are Created by the Creator, planetary life is created by the soul of the planet. However, the soul that is the Earth took Her time to consider all options before She settled down to experiment with the type of life-forms She wanted to develop. In this way, life on Earth only began to develop 25 million years ago. Again, this is very much at odds with the scientific view of life on Earth. However, if you research back through the history of scientific thinking, you will find that this figure of 25 million years is one which was favoured by scientists for a number of years. It only changed when the “new” science of geology came along and tried to find answers to the ages of rock strata. Most of the assumptions made by these early geologists turn out to be based on false premises but scientists being scientists, they have not admitted to their mistakes and have maintained the false theories and incorporated these false dates into current thinking. When the meteorite, mentioned above, was found, they came up with this new age of 4 billion years for the Earth. The technique used to arrive at this date has never been explained adequately – it seems to have primarily been conjecture and wishful thinking. 25 million years ago, the surface of the Earth began to live. The first life-forms were bacteria and plants. In order to work with the plants, the Earth brought about the Sidhé and the Faerie, creating them about 20 million years ago. At this time, the Earth was also about 40 per cent smaller than She is now. There is no such thing as “Continental Drift”, the Earth grew as life developed and there have been occasions when She has shrunk in size as She brought about major changes to the forms of life that She Created for Her surface. As life developed on all of the planets of our solar system, the parameters of our experiment changed. It was proven that compressing energies down to the frequencies we consider “physical” worked exceptionally well and that the solar system contained more forms of life than all of the planets in the rest of the Universe combined and so it was decided that all of the planets would work towards developing a form of life that could contain a free-moving and free-acting soul. In other words, Human Beings. In order for them to develop and to gain new experiences, it was agreed that they could come to our solar system and experience what it is like to take on a physical body. But, before they could make that journey, the planets of the solar system needed to develop a suitable body that these souls could inhabit. All thirteen of the planets that were originally in our solar system began to create new life-forms that could fulfil that function and all were successful. Chapter Two The Scientific Answer? Ever since I was a lad I have been reading scientific books, reports and papers to find out if anything in scientific research coincides with the information within the Akashic. I am sad to say that very little scientific research does. Once you begin to investigate how scientists work, you begin to realise that this is not surprising. Science operates a system of theory. Someone arrives at a theory which is then explored by other scientists who will then confirm or deny the original scientist’s findings. The theory then develops and is recognized by other scientists working in the same field. Once accepted, the theory becomes carved in stone and, in many instances; the stone chips from the carving are incorporated into the reinforced concrete that the carved stone becomes surrounded by. In other words, once a theory is accepted, it takes the equivalent of a nuclear bomb to change the minds of scientists, no matter how much evidence there is to show that the theory is wrong. The really sad thing is that most of the theories governing modern science were first invented in the eighteenth hundreds or, sometimes, even earlier. Why am I talking about theory instead of proof? If you take into account the hundreds of fields of scientific research that have been investigated over the past 400 years, the amount of information that scientists can say is proven would fill a document with fewer pages than the first chapter of this book. Everything in science is an unproven theory and not something that can be stated as a fact. Even Albert Einstein is quoted as saying “If you uncover a new fact that does not fit in with your theory, you are free to ignore the new fact if it could upset your theory.” – or words to that affect as there seem to be several variations of the same quote. For every “accepted” theory there are an average of 93 other theories covering the same subject, some of which are the exact opposite of the accepted theory. In some popular areas of research, the number of opposing theories can run into the hundreds. Take, for example, the theory for the origin of the universe, Big Bang Theory. If you listen to scientists they give the impression that they know everything about the universe’s origins down to 2 nanoseconds after the big bang happened. Wrong. The Big Bang theory contains so many holes and discrepancies that scientists have to dream up new “elementary particles” just about every week to try and fill some kind of hole that has the potential to pull the theory apart. The scientists started to pull everything down to “quantum” particles such as quarks, leptons, fermions, gluons, etc., etc. The list is starting to become endless. However, even with all these theoretical particles, they still cannot explain where the bulk of the universe actually is. The universe is obviously there, it just seems to be missing about 90% of its mass. So they invented Cold Dark Matter (CDM) but that did not explain enough, so they then came up with Cold Dark Energy (CDE) which also did not explain where the rest of the universe was, so they invented a particle called the Higgs Boson which probably does not exist but, if it does, it could explain how energy is transferred to matter. Then there are WIMPS (Weakly Interacting Mass Particle) and MACHOS (Massive Compact Halo Objects) all of which can be summarized by, as one physicist put it, DUNNOS (Dark Unknown Nonreflective Nondetectable Objects Somewhere). Confused? So are the scientists – and some are also very annoyed. The statement carries on in the same vein (quote reported in The Science of Oneness by Malcolm Hollick). Science likes to present itself to the public as being in total agreement about all things and that scientists have proven how all things work. As can be seen from the above statement, there is very little agreement and if the back-stabbers used actual knives, very few scientists would still be alive. The same is true for that other theory which is now presented as solid fact, Plate Tectonics. Essentially what this theory says is that the Earth’s continents float about on the surface of the magma core and have, in the distant past, formed massive “Super Continents”, which have broken apart and drifted around for a bit on their own and then re-formed. This breaking apart and reforming supposedly occurred several times making up continents with names such as Laurasia, Gondwana, Rodinia, Pangaea. This Plate Tectonic Theory is based upon biologists finding various species of plants on different continents and so the geophysicists assumed that the continents with similar plant species must have once been connected. However, one newer theory is that these “continental drifts” did not occur but that the Earth began life approximately 60% smaller than it is now and has expanded ever since. All of a sudden, virtually all the anomalies that have been found impossible to overcome in the Plate Tectonics theory start to make sense and all the discrepancies fall into place. (Theory proposed by Dr James Maxlow with an extract from his book published in Nexus Magazine Dec/Jan 2005/2006). Whilst this expansion theory does agree with some of the information recorded in the Akashic, it does not quite make it as it does not allow for periods of contraction, but it is much closer to reality than plate tectonic theory. Incidentally, the plate tectonic fans have stated that what would prove the theory absolutely would be that the Pacific ocean would reduce in size every year to allow for continuing continental drift. This reducing would not have to be by much, only about 19 mm per year, that’s about three quarters of an inch. The problem is that with current GPS systems (Global Positioning Satellite), it was found that the Pacific is actually growing in size by about 19 mm per year. Once theories have become accepted and undergone the reinforced concrete treatment, it is acceptable to gently chip away at them but any scientist that tries to blow the theory apart has a very short professional life expectancy. [We are the explorer race of souls.] We come from several different planetary systems to experience life on the most beautiful and diverse planet in the Universe. That is what we all share in common - that youthful passion for exploring physical feelings. There is a blueprint for human existence, a means by which humanity, as a whole, can achieve its full potential. This potential is the reintegration of the "higher" aspects of our consciousness with our "physical" aspects of consciousness. Once we have achieved this reintegration, we will understand fully who we are, where we originated and how we came to be. To put it another way, the soul is capable of dividing it's consciousness, investing 25 % in the physical body which it has created for itself using the Earth's template ( energetic, morphological field ) and elements from the Earth. The other 75% of human consciousness is outside of the physical body existing as energetic potential. Our job is to clear emotional energetic blocks arising from childhood trauma, so that our physical body contains room for higher frequency energetic flow so that 100% of our soul consciousness can be available to our physical selves. When each of us have achieved this reintegration, we will experience being wholly human and fully conscious. One of the first steps is to realize that religion is man made. There is no being out there that requires our worship. The Creationary Source, using terms expressed by quantum physics, could be described as the "Fields of Possibility". It is a consciousness that contains all the energy potential that exists in this Universe. And that source has chosen to explore the potential of physical life. It has invited us, who are also source to explore this potential for physical life. We are the explorers of the question: What if non-physical souls could occupy a physical body that contained 100% soul conscious awareness? What does it FEEL like to walk in the grass, hold hands with another wholly conscious physical body, what is it like to fully, consciously feel the senses of a soft summer breeze, to be fully aware of those fragrant orange blossoms, to drink the summer wine, feel light-hearted, and see your smiles reflected in a pond? In other words, the Universe has a consciousness, a soul, the galaxies are consciousness, souls, and solar systems are equally consciousnesses, souls. It is easy to be sceptical about the idea of a conspiracy, the intention of which is to hide away or to distort information to give a misleading view of world events . . . There is an illustration of two men viewing the night sky by telescope from the Ica River near the Nasca plain in South America. The image is carved into stones called andesites which are stones as hard as quartz. There are several thousands of these stones , all depicting life in that area of South America. The stones, ‘snap shots’ of life, depict humans living next to dinosaurs and many dinosaur and human bones have been found together in the area. Needless to say, the stones have not been accepted by the archaeological mainstream. The stones were being investigated by Dr Javier Darquea of Lima, (Dr Cabrera’s book: The Messages of the Engraved Stones of Ica) until his death in 1991; he also linked the stones with the Pleiadean star system. Dr Cabrera’s book has in fact been banned by the USA. We all know that the telescope was invented in 1608 in the Netherlands, yet here is a clear illustration showing the use of telescopes at least 12,500 years ago. Another example would be where archaeologists insist that Celtic societies were ignorant savages and civilization was only brought to the west by the Romans and Greeks. However there is a huge body of evidence showing very clearly that the Celtic peoples of Northern Europe, particularly in northern Scotland, were investigating and working with, sophisticated geometry 2000 years before the Greeks. There is a huge list of archaeological findings of this nature which are never made public because it would upset a very careful cover-up of our true past. . . In addition, the British Archaeological Society, the governing body for all archaeological studies in Britain, has it written into their charter of incorporation that they will not publish any material which contradicts the Bible. Our real history is very different to the one that is taught in schools. Each region began its own investigation into how life could be lived and how best to interact with the Earth herself. They also began to try to understand the reasons for the loss of the higher brain functions. One other “peculiarity” at this time was that there were no children. A human being is defined within the Akashic, for this early stage of our development, as being someone of human form with the whole of the soul [all 50 dimensions of perceptual awareness] within the physical body. At the time of Atlantis, [85,000 to 65,000 years ago] [there was a break from human physical occupation of Earth for 40,000 years after we sank Atlantis so that humans only returned about 20,000 years ago] and up until about 12,000 years ago, the method of becoming human was for a soul to arrive on Earth, copy the human “etheric template” which was created by Earth [morphological field vortex] and wrap the soul with the Earth’s energy patterns to create a “physical” body – a process known as “adult birth” – this is probably the origin of the Adam and Eve story in the Bible. We did not work out the process for bringing forth children until we had learnt how to divide the soul into its higher and physical functions. Childbirth is achieved by attaching a very small amount of consciousness to the slowly developing foetus at about 16 days following conception; the level of consciousness is then gradually added to as the foetus develops, through birth, to puberty when the last “piece” of consciousness enters the body that is to be downloaded for that particular lifetime. We did not understand or fully explore this process during the time of Atlantis and so there were no children. By about 18,000 years ago, we were experiencing some serious problems with the erosion of our higher functions and decided to build structures that could be used to enhance and recreate the functions being lost. At a parallel time, both South America and Egypt began designing and building pyramid structures. The pyramid form was decided upon as the geometric shape of the structure is capable of generating its own internal energy patterns as well as enhancing any other energies that were worked with. This is the true age of the pyramids in both south America and Egypt; 18,000 years old. Just to add further confusion to accepted dates, according to the akashic, the sphinx was built as a marker to the entrance of the huge network of under-ground tunnels under the Giza plateau that were constructed at the end of Atlantis to shelter those who chose to remain on Earth to help undo the damage done by destroying the continent. The “face” of the Sphinx was also originally that of a lion to match its body, this entrance marker being built around 60,000 years ago – at least this date allows for the proper time-frame for the water erosion to the top of the Sphinx. If you felt as though you were experiencing a loss of functions, you entered the so-called "King's Chamber" and formed sounds of specific frequencies. As these frequencies resonated with the form & structure of the chamber, it set up specific resonances within the so-called "air vents" above. The resulting combination of frequencies restructured the body's energy patterns and reconstructed the higher aspects of the soul within the body. In order to make use of the pyramids, specific sound sequences needed to be used in order to generate the required resonance. There were instructions as to how to do this were written out in hieroglyphs. These images were not meant to be literally read, but were designed to trigger a psychic response. In other words, the "student" psychically requested the imprinted hieroglyph to release the information it contained. These are the real "Keys of Enoch". As time went on, we gradually lost the ability to "read" on this psychic level. Teachers were recruited, and a "school" was set up to teach other teachers on how to psychically read these glyphs & release the information that they contained. These teachers came to be known as "Key Keepers", as in the Keys of Enoch, and formed the basis of the much later priesthood. This was the first of that which could be described as "secret knowledge" & later "mystery schools"... only because that which was once known, later became lost or unknown because of our increasing loss of our natural psychic ability. Over the centuries, this knowledge has been lost and a great number of theories have been forwarded as to the real use to which the pyramids were put - some more viable than others - certainly, no bodies were ever found in the Giza pyramids, so they were never tombs as what is generally taught in our "public 'fools' system" of education. Last edited by Herbert, 27th September 2015 at 22:20. Thank you for your reply Hebert, very much appreciated. I'm reading the Universal Soul, very good stuff. Even though I have read most of CT books these quick reviews are awesome. Thanks again Herbet. Saw this AOL video today and I thought of a soul building its' body in the womb. I am editing this post weeks later to illustrate why I shared this link in case new people find it bizarre. The following is from Chris Thomas' essay "DNA - 2, 12, or 13 Strands? 2011 Dedicated to Henrietta Lacks"
soul that has a body. build the body inside the womb. happens is that the egg begins to divide. but begins to imprint the etheric template. stage that DNA begins to play its role. show themselves as moles on the skin. body around the etheric template. needed to continue the body’s development. Last edited by Anastasia, 15th October 2015 at 18:56. 2010 THE ANNUNAKI PLAN? OR THE HUMAN PLAN? The Annunaki version might be new to many people so I will be explaining about this a little later. This is the history of human development as it is taught in schools and presented whenever the topic comes up for discussion. According to paleoanthropologists, those scientists who dig up old bones and make up stories about them; they claim that human life began in Africa. According to this “official” version, the first pre-human being is called Australopithecus Afarensis, Australo meaning “southern”, pithicus meaning “ape” and Afarensis is the Afar region of Africa where the bones were found. These remains are more commonly known as Lucy (after the Beatles song “Lucy in the Sky With Diamonds” which happened to be playing the evening after discovering these bones). After Lucy came Homo Erectus or “upright man”, then Homo Habilus or “handy man”, and then Cro-Magnon Man. Also, somewhere around here arrived Neanderthal Man. There have also been a number of other candidates for our first ancestor. For example, there was the 9 foot tall “Gigantopithicus”, there was “Peking Man” and many others, most of them named for the region the remains were found in. Cro-Magnon Man then developed into our direct ancestors, Homo Sapiens. At some point around 13,000 years ago, Lucy’s descendants left Africa, in the middle of an ice age, and travelled north across Asia and Russia to cross the frozen Bering Sea and then into Alaska where they slowly travelled south until they reached South America. The whole process taking several hundred years to complete. Think about that for a second; here you are living in your nice warm cave, in a warm climate, you know where the water holes are and you know all of the game trails so you can feed yourself. So why would you leave all that behind so you could trek thousands of miles across ice and frozen tundra? Especially as you did not know where you were headed for or what you were going to find along the way or even what you would find on arrival. If that was me, I’d have stayed in my nice warm cave and waited til spring. All of this happened about 13,000 years ago. Remember this date of 13,000 years ago as it has significance in terms of where and how it originated. These travelling people are known as hunter gatherers or Homo Sapien – meaning “wise man”. We have since evolved into Homo Sapien Sapien or wise, wise man – scientific arrogance at its best. This is the “official” story of human development and woe betides anyone who contradicts it, anyone in a scientific or archaeological field. Many scientific researchers have actually found themselves in the situation where they have uncovered human or early human remains, which they have dated to times far earlier than 13,000 years ago and they have found themselves “drummed out” of their profession and not allowed to work in their scientific field again. But if you investigate what is currently happening in archaeology and paleoanthropology you very quickly begin to realise that there is something not quite right in the official view. There are many failings in the scientific method, particularly in dating technologies but, what you do find in the archaeology of human remains is something very interesting, especially when modern DNA analysis techniques are used. New DNA analysis of Lucy’s remains show that the bones have no genetic connection to us but are, in fact, an early form of orangutang. Homo Erectus and Homo Habilus are so similar, genetically, that they are the same. Neanderthal Man has no genetic connection to modern man [more recent studies seem to tentatively indicate there was some limited inter-breeding] and neither do the ‘false starts” like Gigantopithicus or Peking Man. Our direct genetic ancestor is Cro-Magnon Man. What has been found is that wherever ancient human bones are unearthed, the one finding that is consistent is that Cro-Magnon Man is found on every single continent, literally all over the world, and these early Cro-Magnon remains have been consistently dated as being 3.5 million years old. This date of 3.5 million years ago DOES have significance and I will come on to that later.. In other words modern man did NOT originate in Africa but spontaneously appeared all over the world 3.5 million years ago. As these recent findings are totally at odds with the accepted, mainstream scientific version of events, they are not made publicly known as the scientists insist on maintaining this MYTH OF MOVEMENT OUT OF AFRICA 13,000 years ago. There is a reason for this and again I will come on this later. Now we come to development of life on Earth. Our solar system is unique. It was designed to be a place where another aspect of the question asked by the Creator could be explored – is life at the energy densities we consider “physical” possible? In order to explore this aspect of the Question, our solar system was planned to be, essentially, self-contained. Our solar system is also positioned at the back end of nowhere. This was also quite deliberate as we could explore all of the aspects that we wished to explore but also be separate from the ebb and flow of universal energies and universal life. Our solar system is also unique in the sense that each of the planets is an individual soul. In virtually all other solar systems, the sun is the primary consciousness and any planets are a part of the sun’s consciousness. In other words, in those solar systems the sun and planets are one soul. In our solar system, because we were to be a new experiment in life, it was decided that each of the planets, as well as the sun, needed to have as full a potential for life as possible and so the sun and each planet are individual souls. Our solar system began to form about 40 million years ago. I appreciate that 40 million years is nowhere near the 4 billion or so years that cosmologists talk about, but 40 million years is what the Akashic records. There were originally 13 planets in our solar system, each developing life in the way that consciousness decided to create life. Each of our planets is a creator in its own right, this is why a full consciousness was needed for each planet, to maximize potential and creativity. Every single one of these planets developed their own form of life, all of which were what we would term physical. Each individual planet designed and created forms of life which it felt was appropriate to its own consciousness. This provided for the maximum amount of creativity and diversity and all were successful. Each planet supported life and the universe gloried in the complexity and variations in form. Our Earth was a slightly late starter in this process as She did not begin to fully develop life until about 25 million years ago. This date of 25 million years is actually borne out by early scientific investigation into the development of life on Earth. The 25 million year period was widely accepted by biologists and zoologists until geologists became involved and tried to fit the 25 million into their theories of how rocks are formed. Given that the geologist’s theories required increasingly longer periods of time for sedimentation to occur as well as the formation of other types of rock, the age of the Earth was made progressively longer and longer, regardless of the evidence to the contrary. Regardless of any dates the Earth was as successful as all of the other planets in the solar system in developing a huge range of life-forms. The Earth began with the extremely small, making use of many of the organisms that exist within the Universe, but very rapidly moved to big – as in the dinosaurs, giant trees and giant insects. The reason for this was to do with the effects of physical density on the physical body, once it was realized that smaller forms of life were just as feasible as the large, mammals became the primary forms of life and the plant-life was redesigned and created to suit the needs of these kinds of animals. The scientific view is that there have been a series of ice ages or natural disasters which wiped out all life and then new life began to develop after these disasters. This is not true, apart from one major catastrophe, the forms of life, and the changes that have taken place to them, have all occurred because of a deliberate choice of the Earth’s consciousness – a kind of fine tuning of design upon the realization that some life forms were not fully viable and needed to be changed for new designs. In other words, all of the animal and plant life on Earth has been designed and created or adopted by the Earth herself. With a universe of free choice, why would the Creator impose It’s view on anything? About 3.9 million years ago, 4 of the planetary consciousnesses, within our solar system, decided they did not want to remain a part of this solar system and chose to leave. Unfortunately, in removing themselves from their planetary shells, they triggered a solar system –wide disaster, which virtually destroyed all life in the solar system. The first 2 planets to leave did so quite rapidly and the planets, the planetary consciousness had built around themselves, for want of a better word, exploded. One of these planets was positioned between Venus and Earth and the other between Mars and Jupiter. The resulting explosions created a wave of destruction throughout the whole solar system. Virtually all solar system life was destroyed. Only 2 planets still supported life: Earth and Ganymede, one of the moons of Jupiter. Virtually all of the life on Earth was destroyed, the planet was rocked on its equatorial axis and a large quantity of the atmosphere was lost. Life on Earth was almost abandoned because of this disaster but the Earth decided to start again. Apart from Ganymede, all of the other planets decided to think again and did not begin rebuilding life until very recently – more about this later. The debris from these exploding planets formed the asteroid belts and several planets, including Earth, gained a moon. The other 2 planets, who decided to leave, did so much more gently, moving the whole planet to a position just inside of the solar system’s limits. The location and gravitational influence of these 2 planets on Pluto and Uranus has given rise to speculation, in recent years, of a tenth planet – Planet X. 3.6 million years ago the Earth began again but, this time, She was not beginning from scratch. The primary purpose of the Earth, and our solar system, was to explore the possibility of “physical” life, that is, a physical body which was capable of containing a whole soul. Each of the planets, throughout the solar system, had begun their own exploration of this requirement. On Earth, She had been experimenting with a body form closely appearing like our own human form – Neanderthal Man, as well as numerous other “false-starts”. Even in this paradise, we began to encounter problems with maintaining our higher psychic functions. Our average life span was around 1500 years and as these reductions in capabilities happened over a period of a few hundred years, they were not immediately noticed or even seen as a particular problem. However the problems were sufficiently worrying to look for solutions. The problem seemed to be that the whole of the soul could not be fully accommodated within the Human body for a full life span. This was not some kind of partial “death” that was being experienced but the partial “leakage” of some of the soul’s higher energy frequencies out of the body which created a kind of “aura” around the body but they were not consciously available. Several forms of investigation were tried to see if the problem could be overcome but none seemed to present any kind of answer. Eventually, we decided to attempt to remerge these higher frequencies back into the body. In order to achieve this we built the Great pyramid on the Giza Plateau in Egypt. The reason for building a pyramid was to make use of the energy patterns that square pyramids generate. If you construct a square pyramid, you will find that the shape itself generates and concentrates energies at a point about one third its height up from the base. By enhancing these natural energy concentrations, the soul could be fully remerged back into the body. This is why the so-called “King’s Chamber” is located where it is – it is at the point of greatest energy concentration. The chambers that have been found within the Great Pyramid are only half of the number of chambers that were built. The Queen’s Chamber and the King’s Chamber have mirror images within the pyramid that have not yet been “officially” found. The pyramids were constructed psychically. A group of people collected together and created a collective, focused thought in the limestone quarry from where the stones were taken. This “group thought” cut through the solid rock to form individual blocks of stone perfectly shaped for their locations. Once the stones were cut to shape, they were psychically transported and then lifted into position on the pyramid. When in place, the stones would be “rubbed” together, again psychically, so that there was always a perfect fit between them. Above the King’s Chamber are the so-called “air vents’, chambers that contain carefully cut and placed stones which form a pattern known as a “djed” pillar. These djed pillars are not part of some kind of conditioning system but are energy accumulators and reflectors. Into the King’s Chamber was psychically transported a granite “box” that has become erroneously called the sarcophagus. There are many theories about how the pyramids were built; virtually all of them ignore a psychic means of construction. There have been numerous attempts to build half-scale replicas of the Great Pyramid using these construction theories – non of them work. Some aspects of the theories have been shown to work: such as the use of greased slides to move massive stone blocks as the ancient Egyptian did not have use of the wheel. With the success of this extremely small part of their theories shown to have some benefit, the archaeologists then claimed that the whole of their theory is correct even though all other aspects have been proven not to work. It is worth looking at some aspects of these theories just to show that the title of “pyramidiot” belongs more to the Egyptologists than those who put forwards “alternative” theories. The only form of metal found from ancient Egypt is copper and the Egyptologists claim that stone cutting tools were made from this metal. Copper tools cannot cut solid rock – every attempt to show that they can has failed. Copper tolls cannot even shape solid rock once it has been cut. The sarcophagus in the King’s Chamber is made from an extremely hard form of granite. The sarcophagus is also 2.4m x 1m (8ft. x 3ft.) and about .8 m high (about 2ft 7 ins) and the whole of the inside of this huge block has been hollowed out. Attempts were made to cut a small version of the sarcophagus using the latest diamond cutters and laser cutters. Neither of these techniques could cut through the granite without shattering it. The setting out of the Great Pyramid, on its base is so accurate and so perfectly aligned that we could not set it out as accurately even using the latest technology. The theory that the cut stones were moved into position by using greased slides sitting on top of sand ramps has also been studied in detail. It is possible to move very large blocks of cut stone by sliding them over greased timber slides providing you have enough man power to pull the weight of the blocks. However, to build a sand ramp that reached to the top of the pyramid is a non-starter. The sides of the pyramid slope inwards from its base which means that the ramp has to increase in width as it climbs up the pyramid walls. This increasing width puts enormous pressure on the ramp which is almost certain to cause a collapse of the ramp. It could be possible to make a stable ramp but the volume of sand needed to build it is greater than the volume of sand available in the surrounding landscape even if the sand was transported several miles. Although this region of Egypt looks like desert it is, in fact, a limestone plateau with only a thin cover of sand. Then there is of course the theory that the pyramid was a tomb. When archaeologists fist blew their way into the pyramid and made their way to the King’s Chamber, the sarcophagus was full of a grey powder and not a body. In other words, no burials were ever carried out in the pyramid itself. There was one body buried at the base of the pyramid, but even the archaeologists describe this as a “break-in burial” made some time after the pyramid was finished and had nothing to do with the pyramid at all. Lastly of course is the age of the pyramid. Egyptologists have dated the Great Pyramid to about 4,000 years ago. The date was arrived at when an archaeologist, who was digging outside of the pyramid, uncovered a pottery shard which was dated to that time. That is it, there seems to be no other way in which the “official” dating of the pyramid has been arrived at. There are a number of pyramids dotted around Egypt. All of these are more crudely built than the Great pyramid of the Giza Plateau and all, and all of them are dated as being built after the Great Pyramid. In other words, the later pyramids were not prototypes for the Great Pyramid with the Pyramid being the pinnacle of the techniques learned by building the others. The Great Pyramid predates all of the others. Author’s Note: the scientific testing of their theories I have given here has been collected from various journals and books over the years and so I cannot give a list of the publications or their dates but the information given is accurate. To return to the purpose for which the Great Pyramid was built. The Great Pyramid was finished with smooth white limestone, which shone bright in the sun. Half way up each corner was positioned a quartz crystal about 1.8m (6ft) tall. On the very top, the pyramid, was positioned a crystal that was over 2.4m (8ft) tall. These giant crystals gathered together huge amounts of energy, which were focused, through the so-called “star shafts”, into the King’s Chamber. If you were someone who wished to re-merge the higher frequencies of the soul back into the body you entered the Pyramid and made your way to the Queen’s Chamber. This was used as an ante chamber, somewhere where you could prepare yourself. Once ready, you entered into the King’s chamber where you created a specific sound. This sound was both psychic as well as verbal. This sound generated a standing wave frequency which resonated with all of the massive energies contained within the King’s Chamber and this combination of energies increased your own vibrations so that the whole of the soul would re-merge back into the body. This is the only purpose for which the Great Pyramid was built. The grey powder found in the sarcophagus was, at first, dismissed as dust but it is now known that the powder was form of alchemically altered gold – known as “shew bread” or “star-fire bread”. Ingesting this substance is known to increase someone’s psychic abilities. Five of the six regions that had been re-settled by Human Beings followed suit and built their own Pyramids for the same purpose. I have only focused on the Egyptian Pyramid as it is the one best known to people and, because it is best known, it is assumed that Egypt was the greatest of these ancient settlements. This is not true. The buildings and work carried out in South America is far greater than anything found in Egypt and this is yet to be uncovered by archaeologists. Incidentally, the reason why the Egyptian Great Pyramid is now stepped on the outside is because the smooth limestone blocks that originally faced it were scavenged to build some to the older buildings in Cairo. Pyramids were built in five of the six re-settled regions; the sixth region adopted a different approach. The primary energy intake point onto the planet is in Southern Britain and so the region of Northern France, Britain and Ireland had maintained their higher psychic functions for longer. Also, because there was a huge clean energy source available, the construction of pyramids was unnecessary as other forms could be used to concentrate energy frequencies as happened in the King’s Chamber….. The Earth has two energies. The first is Her own soul or consciousness energy whilst the second is the energy she supplies to sustain the life She created. The “life energy” is distributed around the planet by an energy grid we have come to know as “ley lines”. To assist and enhance the ley line energy, the planet draws on a source of universal energy. This universal energy was put into place at the start of the development of our solar system as a means of providing as much energy as was necessary to bring about our “experiment” in physical life. All of the planets of the solar system had access to the energy flow, including the Earth. The universal energy arrives on the planet at what is now Silbury Hill in Wiltshire. 18,000 years ago, the English Channel did not exist and Britain and Iceland were only separated by a tidal river so there were, effectively, one land. The huge energies that came into Silbury Hill meant that instead of building a pyramid, this region built Stonehenge to perform the same function. This was the earliest development at Stonehenge, the later trilothon structures were added at a later date – see below. By the time the Great Pyramid was built, we knew what the problem was, we knew why we were losing some of the higher aspects of the soul. The reason was this: in order to generate and nurture “physical” life, the Earth generated an energy frequency of 7.56 Hz (cycles per second). This base-note frequency coalesced the energies connected with the planet into “physical” form. The base-note frequency was fine for animal and plant life but was too low for the much higher frequencies needed to fit the whole of the soul into the Human body. This is why the pyramids were required: They increased and raised the body’s frequencies to a point where the soul could remerge. The problem was nobody could figure out just what the Earth’s base-note frequency needed to be raised to. The point about frequency was a critical problem. If the frequency was not raised enough, Humans would still encounter the same problems but over a longer period. If the frequency was raised too high, it could destroy animal and plant life and nobody wanted that to happen. The problem with Earth is that it is the most beautiful planet in the universe with more forms of life than the rest of the Universe combined. It is, therefore, an extremely distracting place to live. How can you concentrate on finding this one answer when everywhere you look there is a new life form to distract you especially if you can convince yourself that this new life form might help you to find the answer. So the vigour with which we pursued an answer became a little slowed. Also we were beginning to slow down even more; the longer we stayed on the planet, the more of the higher psychic functions we lost. We did however decide to take one radical step to see if it could produce a solution. Up until this stage, we had continued with the process of “adult birth”; we did not have any children. Given that the slowing of the higher psychic functions showed that the soul could be divided we, collectively, decided to try giving birth to children. It was hoped that the children would “grow” into their full soul and solve the problem. The first Human child was born 16,000 years ago. This birth process proved to be only moderately successful and only about 30% of the Human population adopted it. However, it was realized how special children are and the process was continued just for the pleasure of sharing the world with children. This might seem as though it was taking a long time for things to happen. After all, we had now been on Earth for 1,000 years and we seemed to be no further forwards. It must be remembered that the majority of souls who had taken on Human form were from the non-physical races to whom time is immaterial. Also, those who were form the semi-physical races were used to extremely long time-spans and so 4,000 years did not appear to be a very long time. In addition, with an average life-span of 1500 years, we had only been on Earth for just over 2 generations. In addition our higher psychic functions were slowly being eroded and this slowed down our ability to investigate. Also our loss of higher psychic functions was accelerating and this acceleration seemed to be connected to the shift in the Earth’s rotational axis that had occurred at the end of Atlantis. In fact, this accelerated slowing down brought with it its own set of problems. Last edited by Herbert, 8th October 2015 at 18:32.
from the creation story of Rangi and Papa. As soon as the sky was torn from the earth there was light in the world, and crowds of human beings were discovered who were the children of Rangi and Papa, and who had been hidden until now between the bodies of their parents. - we need to resolve our own problems and we cannot rely on anyone else to sort our problems out for us. Those who know that they have problems, or “issues”, still to be resolved reacted with interest but tended to grumble about “lack of time”. Those who’s ego made them think that they were not only ready but were in the forefront of change started to realise that maybe they had work to do after all. Those who are the drones of the Velon reacted by attacking me and my work – both verbally and psychically. This I see as a good sign as the essay obviously rattled the Velon’s cage. Most people read the essay in realistic terms and have recognised that they now need to move their lives forwards working very closely with their higher selves. However, there were a few aspects which were not fully covered or explained in the essay, for which I apologise, and these aspects are addressed in this addendum to the essay. Question: I believe that I am ready to re-integrate but nothing is happening. I have tried shouting at my higher self but still I feel no signs of change. Why is this? Answer: There are two aspects to this question. Firstly; it could be that you hope you are in a position to re-integrate but your higher self can see that you still have a few problems (issues) to clear and so you are not actually ready to undergo re-integration just yet. Secondly: it could be that you are ready for this change; it is just that your higher self considers your best option is to wait until it is a better time where there can be a mass re-integration for those in the western world. Do not forget that you and your higher self are one soul. You – the physical aspect is about one quarter of the total soul whilst your higher self makes up the remaining three quarters – you are not separate from each other. This means that your higher self has a much greater perspective on what is needed to be done and has access to a much higher level of knowledge than you as the physical self does. If your higher self can see that it would be better for you to wait until a mass shift is possible then that is what your higher self will plan to happen and no amount of screaming and shouting by the physical self will change the situation. So it is a question of being patient and ensuring that you are as ready as you can be. When the time is right, your higher self will let you know in terms that you will not be able to misunderstand. Question: If people are ready to re-integrate and their higher self agrees, how can they carry on with their normal lives if they then give out an unmistakable aura? Answer: Essentially, they cannot. People who have undergone soul re-integration give off an aura that is very much more powerful and far ranging than “normal” people. If you tried to carry on your normal life, you would not be able to – you would either be swamped by people demanding that you sort their problems out for them – effectively a new religion would be built around you – or you would be arrested and taken into custody and experimented on by the military. There are those who have fully re-integrated their soul back into their bodies in the last number of years. Most of these Human Beings live in traditional, tribal communities away from the western world. However, there are groups of Human Beings who do live in communities in the west. You will not have encountered or heard of these communities as they keep themselves very much to themselves: if someone approaches their community, they place a psychic barrier around themselves, or the community, and so you will not be able to make contact with them unless they want you to and the only people they want to make themselves known to are those who have also re-integrated. These communities also have psychic barriers around the whole area so that if someone tries to remote view them, they will see a normal landscape psychically projected and not the community itself. These communities of true Human Beings are totally self-sufficient in their every need. They have psychically cleared all pollution from their area – whether that was air, ground or water and grow all of the food the community needs for themselves. They do not have, and do not need, any contact with the outside world. However, they do work very closely with Mother Earth and do all that they can to ensure that She is helped in any way that is needed. Question: If [MORE THAN 3 MILLION] people have re-integrated since October 2011, why have we not heard about them? Answer: Well that was really answered in the last question: except for one point. If your higher self has decided that it would be best for you to re-integrate before everyone else does, then your higher self will make special arrangements. You will know several days in advance that your higher self considers that all is ready for you to re-integrate. By the time you reach this stage of readiness, there will not be any confusion about whether it is your higher self speaking directly to you. This will allow you enough time to say your farewells to those who are not re-integrating with you. In the days leading up to your re-integration, your higher self will have communicated psychically with several of the already established communities. By communicating in this way, your higher self will have made arrangements for you to join the community that is considered best for you. On the day that you re-integrate, a member of that community will translocate into your home and help you to understand your new capabilities. You will immediately recognise this visitor because of your heightened awareness and psychic communication capabilities – you would not be misled if someone other than a Human Being turned up. When you are ready, you will then translocate, with the community member, and take up residence in your new community. In other words, you would effectively disappear from your home area. Question: How do children and teenagers fit into this situation. Surely they are too young to understand the concepts involved? Answer: We have known that we needed to return to being a full soul within the body during this period ever since the Human Plan was put into action 7,000 years ago. This means that every single soul that is physical on the planet, at this time, is here to be a part of this change. Do not forget that, on a soul level, children are the same age as adults; they just have a newer body. Virtually all of the children born, in the last twenty years, have decided to be physical at this time; many have come here to try to help adults understand that change is necessary and that they cannot continue on the planet unless they change. So children are at the forefront of this change, it is adults who have the problems. A few years ago, a seven year old child was brought to me for healing by its parent. It soon became clear that the child had problems that related back to past lives, particularly to the time of Atlantis. I explained what I could see going on in the child’s body with both the child and the parent. The parent virtually had a fit as they could not understand the concepts I was talking of. The child just looked at me and said, yes I understand, that is exactly what it feels like. Being a child or a teenager is no barrier to undergoing soul re-integration – they are here for that purpose, and they know it. It is the adults who have the problem but, if they listen to what their children have to say, the adults might very well find that their children are talking a great deal of sense and can help the adult through their problems and move on with their children. Don’t forget that, on a soul level, your children chose you to be their parents and you chose your children to be born to you. There were very strong reasons for so doing - on both sides. Question: You say that the Velon have been attempting to reduce Mother Earth’s frequency down from 3.5 kHz. Did they succeed and has this frequency reduction affected people’s own energy frequencies? Answer: The short answer is no to both parts of the question. But, that is not the full answer. There have been two main attempts by the Velon to disrupt and reduce the Earth’s new frequency of 3.5 kHz. The first major attempt was by the Velon “race” known as the Hathor. Through channelled material, the Hathor (Velon) directed a group in America to build two “celestoriums” – these were copper shafts 100m (333 feet) long that were sunk vertically into the ground and filled with programmed quartz crystals. The first of the celestoriums was switched on by the Hathor on the 10th April 2006. As soon as the first of the celestoriums was switched on, the Earth’s consciousness came under severe attack from the energy patterns emitted by the copper shaft – the celestoriums were, effectively, tuning forks designed to emit very specific frequencies. The Earth’s guardians stepped in immediately and destroyed both active and non-active celestoriums on the same night. Even with the quick actions of the Earth’s guardians, two people were killed, two Sidhe´ were killed and many members of the Hathor channelling group were badly, but temporarily, affected. The second attempt by the Velon to reduce the Earth’s frequencies was carried out by the military. The “communication” system, known as HAARP, has, at its core, a Velon energy device known as a “djed” pillar. These djed pillars are a huge source of energy and all 39 HAARP stations contain one. In 2010, the military announced that they were flooding the planet with Extra Low Frequency (ELF) waves as a form of ground penetrating radar to uncover underground terrorist hideouts – amongst other things. Given that these ELF waves contained Velon frequencies, the flooding of the planet with these frequencies were also designed to attack the Earth’s raised frequencies and, since November 2011, people’s raised frequencies as well. It was as a result of the combined attack on both the Earth and the human population that the Earth sent out Her request for assistance on the spring Equinox this year. The thoughts of people working with Mother Earth helped to break the Velon (HAARP) frequencies that were starting to slow down our frequencies for change. Again, the Earth’s guardians also helped in this task and have continued to remove and destroy all djed pillars wherever they are to be found – see below. Question: If I was gullible enough to call those so-called “Angels” into my home and they implanted energy devices there, how can I get rid of them? Similarly, I have been working with my “Angels” for some time. Does this mean that I have also been personally implanted with some kind of energy device? If so how can I get rid of those? Answer: First of all, do not panic about this. The people who invited the Velon masquerading as “Angels” into their homes for five days, this amounted to about 5,000 people, have had their homes and bodies checked and all of the Velon energy devices implanted during the “Angels’” visit have been removed. The removal was carried out, at night, by a group of dedicated people who worked closely with your higher self to ensure that all Velon energies were removed. You would have been unaware of the devices being removed but the “cleansing squad” was called in by your higher self. In addition, if you have been working with “Angels”, the chances are that you have also been implanted with Velon energy devices. You must remember that you made a choice of working with these so-called “Angels” and so it must be your choice to have any implanted devices removed. It does not matter that you did not know that by working with these beings you were actually working with the Velon – you made a specific choice to invite them in and so you must also make a specific choice to have any implanted Velon devices removed. To do this is very simple – you sit down and quietly ask your higher self to contact the “cleansing squad” who will work with your higher self and any unwanted energy devices will be removed from your home and your body. If you are concerned that there might still be some Velon energy around you, or your home, the other thing you can do is to “smudge” yourself and your home. Smudging is an ancient Shamanic and Native American practice to remove “bad” or unwanted energies. You can readily buy smudging sticks or you can make your own dried sage leaves. If you are using smudge sticks indoors, don't forget to open a couple of windows and switch off any smoke alarms. The way to make your own smudge stick is to obtain a small bunch of sage. You can pick this from your garden or you can buy fresh sage from your local supermarket. It doesn’t matter where the sage comes from, it must have the leaves still attached to their stalks. Once you have your fresh sage, you must allow it to dry fully, both stalks and leaves. Once dry, bind the stalks tightly together with some string including the leaves – this is a smudge stick. With a candle flame, set alight to the ends of the leaves. If the leaves catch on fire, blow the flames out because all you want is the smoke that comes from the burning leaves. If, whilst carrying out the smudging exercise, the leaves stop burning, just re-light them from the candle flame. Don’t forget that you invited the so-called angels into your home and into your life intentionally. When using your smudge stick, you must have a firm intent held in your mind that you want to cleanse yourself and your home of the energies they brought with them. For smudging your body, it might be useful to have a friend do it for you. Hold the smoking smudge stick about 15cm (about 6 inches) away from your body. Start at your feet and, using slow circular movements of your hand, bring the smudge stick slowly up your body until it is over you head. This must be done to your front and back as well as the sides of your body. You must also breathe in the smoke to ensure that you are fully cleansed. It will be best if you have a small bowl that you can hold under the smudge stick so that you catch any ashes that fall from the leaves. Start in one corner of the room and, again using gentle circular movements of your hand, work along the wall and into the corners. This can be done with the smudge stick at about waist height. Go all of the way around a room and then into the centre of the room. Once you have finished one room, carry on until you have smudged every room in your home. Remember that, depending on how dry or damp your smudge stick is, it can generate a great deal of smoke so it would be advisable to temporarily disable any smoke detectors as well as to open a couple of windows. Once you have smudged yourself and anyone else in your home, as well as all of the rooms, you should feel cleansed and energised and you should also be cleared of any unwanted energy frequencies. Don’t forget to switch your smoke detectors back on! In future, if you feel the need for help in finding a parking space or a stool at the bar or any of the other reasons people have called on their “Angels” for, instead of calling on an “Angel” all you have to do is to make the request to your higher self. If we are to undergo soul re-integration, we must work more closely with our higher selves at all times. If you send up a thought to your higher self, it is probably advisable to insist that you are working only with your higher self and not some other being – if you insist on your higher self, nobody else can step in between you and your higher self. Calling on any being, other than your higher self, will just get you into more trouble. It is inevitable that some people will consult a healer to check to see if they have any kind of energy implant in their bodies. As someone who worked as a healer for over 30 years, I developed ways of recognising “implants” in people’s systems and of removing them safely. In doing this work, I did not work with any other healer at any time nor have I trained any healer in my techniques and so if a healer claims to have worked with me in any capacity, their claim is untrue – see statement at the end of this essay. I am not saying this to try and promote my own healing practice. I am currently unable to see clients for healing – this is due to my own circumstances. My concern here is that a small number of healers will try to promote their abilities by claiming some kind of affiliation with or training by me – as has already happened – see statement. The best way of dealing with anything is to work as closely as possible with your higher self. The more you work with your higher self, the closer your connection becomes and the easier it is to understand the answers – it just takes practise. If you work closely with your higher self, the answers to any and all questions become available to you and you realise that you have all of the answers within yourself. Question: If people are unable, for whatever reason, to re-integrate before December 2012, will they be able to re- integrate “in spirit”? Answer: This is to misunderstand the purpose of “The Human Plan”. We have spent the past 7,000 years exploring how we re-integrate the whole of the soul back into the physical body. This means that we have to be physical in order to become a true Human Being once again. If people are close to being able to re-integrate but for whatever reasons do not, they must die – leave their physical bodies behind – and return to their soul state. Once in that soul state, it is a question of discussing the situation with your higher self and making choices about the next step. If you higher self thinks that you were more or less there, you can return to a physical body but you will have to be able to achieve a full soul state in your new incarnation. If your higher self considers that you have too much work to do to achieve a full soul state in a new body, you must return to your place of soul origin. Don’t forget though that we only exist in a divided soul state whilst on Earth. Once we leave the solar system, the soul re-merges back into one. Question: When you said that people will either re-integrate or become "lost souls" - what do you mean by a lost soul? Answer: Essentially, what I meant by that statement was that you will be lost to the Earth. Since 1996, when the first full census was carried out, many millions of people have acted on the choices they made at that time and have left their bodies behind. This means that we have had a rapidly reducing population since 1996. In 1996, the population peaked at around 7.4 billion whereas now, at the start of 2012, we have a total population of about 3.9 billion. These deaths are people making their choices about whether they were in a position to undergo soul re-integration or not and then having the integrity to act on that choice. When the first of these people returned to their place of soul origin – the six non-physical races – they carried with them unfinished or un- cleared emotional problems which the six non- physical races were too inexperienced to deal with. To try and help these souls recover, a planet was temporarily used as somewhere where these souls could go and have another physical incarnation to allow them to solve these kinds of problems but from the perspective of the total soul. Time is strange stuff – time does not pass on Earth in the same way as it does in other regions of the Universe. The planet that chose to take on the role of a “New Earth” to help these souls existed in a region where time passed significantly faster than it does on Earth. In other words, a hundred year period for us would feel like a few months for them. And so it was possible for these troubled souls to live at least one physical lifetime in what we would see as an impossibly short period of time. By these souls leaving Earth and experiencing one, or more, further physical lifetimes on this “New Earth”, it meant that a great deal was learned about how to deal with those who had not completed their personal part of the Human Plan so much so that the assistance of the planet was no longer required. Given the lessons learned on the "New Earth" all of the souls who have left the Earth and returned to their place of soul origin are now helped with any traumas that they may still carry with them and so are gently cleansed of any problems they may have. It is possible that, if they so chose, these souls might be able to return to Earth at some future date. When and especially if, they could be in a position to return has yet to be decided. However, the real meaning of the term “Lost Soul” was how the Earth sees the situation. Mother Earth sees every living thing on the planet as being Her “children”. If someone had the potential to re-integrate but did not and had to leave the planet, Mother Earth sees that person as a child lost – a soul lost to its Mother. Question: You say that you have re-integrated but then came back – why did you come back? Answer: I ask myself that question every single day! [Note: Chris Thomas has stated that he did fully reintegrate his higher self into his physical body but was asked by the Earth to return to being "sub-human" in order to make people aware of The Human Plan. He described the integration process as being very smooth and fast, however, the return took considerably more time and it was very difficult to give up and adjust to the "loss". However he could not say "No" to the Earth's request for help in waking up humanity. Last edited by Herbert, 10th October 2015 at 14:58. Chris Thomas has spent 40 years studying the Akashic Records in order to find definitive answers to specific questions. His work culminated in 8 books on the History of our Universe and in particular the History of our solar system, Earth and Human Beings. He went on to do 11 interviews and about 20 essays. This is a unique and valuable source of information made available for us until we can fully reintegrate our higher selves at which point we will have our own knowing . The Akashic information provided by Chris goes past scientists’ theories and speculation to the embedded records which define the Akashic. Much of what he discovered is only beginning to come to light through cutting edge science. No one else has ever spent so much time thoroughly investigating, and with a scientific mind, the vast resource library of the Akashic. There is a great deal of confusion raging over the issue of time and whether there are alternate time-lines at work on Earth and, if so, will these alternate time-lines have any affect on the changes in consciousness we are currently undergoing. To begin with, we need to understand the nature of time and how if affects our lives; whether on Earth or in the Universe beyond. On Earth, we are used to understanding time as being a linear progression. Our Earth revolves around the sun on an orbit that takes a regular, measurable, quantity of time to complete. We take this orbital time as one year. Each year is sub-divided in ways which depend upon the amount of sunlight received by regions of the planet – these are the four seasons. Next, the Earth revolves on its own axis, producing periods of day light and periods of darkness, called night. We have divided this regular day-time/night-time pattern into 24 hours; each hour being divided into 60 minutes which are further sub-divided into 60 seconds. So, as far as the inhabitants of Earth are concerned, time is divided into a series of regular units which count off the time-span of our lives. Ultimately, this form of measurement and division is dependent on light and the speed at which it travels. In our solar system, light has been measured to travel at 30,000,000 metres per second or 186,000 miles per second – or thereabouts. However, we live in a solar system which is unique and the speed at which light travels is not the constant that scientists like to think it is once we leave the solar system. To begin to understand how everything fits together, we have to step away from the limited scientific ways of gaining knowledge and turn to the “memory” that is a fundamental part of the structure of this Universe. This “memory” is more usually called “The Akashic”. The Akashic contains the record of everything that has ever occurred within this Universe. As someone who has the ability to access this record keeping aspect of the Universe, the author has spent thirty years exploring this information source to try to find answers to the problems we have been encountering on Earth. When it comes to understanding the workings of the Universe, the Akashic is a totally reliable source and is totally contradictory to the way in which scientists have theorised its workings over the centuries. We live in an energetic Universe. This means that all that we see in the night skies is comprised of energy. The same applies to Earth; everything we think of a being physical is not actually solid but comprised of energy. Our brains and senses work in such a way as to make us believe that we live in a physical world whereas all is energy of different and differing frequencies which our brains interpret as being solid. In this sense, we tend to experience time as a solid thing – one second follows another as the Earth revolves and the sky darkens or lightens – time “feels” physical to us. However, if we step outside of our solar system, everything begins to change. Light travels at different speeds and, therefore, our perceptions of time alters and linear measurements of time do not necessarily apply and certainly do not apply in the way in which we measure time on Earth. If it were possible to stand at a point which was at the centre of the Universe, we would see time as two energy spirals – one stretching behind us, back in time, and one stretching in front of us, which would represent the future. If we had sufficient energy potential, we could travel backwards in time but we could not travel forwards – we cannot travel to a time which does not yet exist. Most of the explanations provided by scientists are based on the world being a physical place; as theorised by Isaac Newton in the 1700’s. Science sees the conditions that exist on Earth and tries to apply those same conditions to the Universe as a whole. The scientific view began to change about 100 years ago when they began to explore that which exists at levels below the size of an atom - the term “quantum” means the smallest quantity of some physical attribute that a process or system contains. In this new realm, everything that they thought applied to the world had to be newly explored and understood. As far as science is concerned, the quantum world bears little resemblance to the world outside, the world they thought they understood. As their exploration of the quantum progressed, they began to develop new theories to make their experiments explainable. One thing they did find was that the scientist could create his own reality. If a scientist “thought” that light travelled in particles, his experiments “proved” that light travelled in particles. If a scientist believed that light travelled in waves, his experiments “proved” that it travelled in waves. In other words, the experimenter “created” his own reality. The experiments and observations carried out into quantum phenomenon showed time and time again that it is what the scientist believed the outcome would be that determined what actually happened. This led to a great deal of theorising about how the world, and the Universe at large, actually works. As they day-dreamed about the nature of reality and how the scientist could create their own, they began to postulate about “alternate” realities. Quite why they should do this is not explained given that they have not even begun to understand our current reality. Essentially, scientists studying the quantum world started thinking about their experiments – if what I think is going to occur does occur, what happens to all of the answers received by other scientists? To try to make sense of this, they came up with the idea that every scientist’s experiment formed its own reality, and these alternate realities must exist somewhere. If the nature of the Universe is determined by how someone thinks it works then all of the other theories must create a universe of their own. And if new universes were created, then there must be different time-lines running parallel to ours. So this is how the concept of alternate, parallel universes arose and how the concept of alternate and parallel time-lines fitted in with it. The alternate, parallel universe concept runs something like this: If I am faced with making a decision, I consider all of the possible alternate options I am aware of. I consider all of these alternative answers and choose one which I believe will work and then act on it. Taking action on my decision fits into the current time-line. But what of all of the alternate options that I rejected? Each of those answers were viable in some way and could have resolved the problem I needed to decide on. Therefore, each possible option could lead to a different solution to the problem and that alternative solution must exist somewhere which runs on its own independent time-line which obviously does not encroach on our current time-line therefore, it must exist in an alternate universe! The author’s own research into this theory would indicate that it is a hangover from too many post-conference alcoholic beverages. To return to reality and the Akashic. Our Universe exists because a question was asked and the question was: What would happen if...? This question was asked by the Creationary Source who wanted to find answers to the possibilities offered by its own existence. For a more complete overview of the history and purpose of this Universe, see “Synthesis” (published by Fortynine Publishing). In order to answer this question, The Creator brought about our Universe. The “What if...?” that our Universe explores, is the question: “What would happen if a Universe existed where all of the souls that inhabited it had complete freedom of choice over their actions?” This is the reason and purpose for our Universe to exist. In order to explore this question, The Creator built an energy “envelope” which contained all of the energy frequencies that allowed for a full exploration of the original Question. Into this envelope, free-thinking and free-acting souls were Created that would explore the answer on the Creator’s behalf. These free-acting and free-thinking souls comprise the thirteen “races” that inhabit our Universe (see the author’s books for a full description). These races break down into two different types of existence. The first are souls who do not have any physical form or density but exist in a state of pure soul energy. These, the Akashic calls “non-physical races”. The second are souls who have a physical form and a physical density but exist in a state that is very much lighter in density than we humans do. These, the Akashic calls “semi-physical” races. We would call them “aliens” or Non Terrestrial Biological Entities. All of these many, many billions of souls populate our Universe in order to find an answer to the Creator’s question. The first free-acting and free-thinking souls Created for this Universe were the non-physical races. Their Creation took place about 100 million years ago. Following their Creation, these non-physical races set about exploring all of the possibilities that our Universe has to offer. However, by after about 40 million years of their existence, they realised that they had limitations and could not provide the Creator with a full answer. Their assessment of the problem led to a fundamental re-think of the purpose of this Universe and its direction was altered. To fulfil this new criteria, two major developments took place about 60 million years ago; both of these developments ultimately led to the Creation of the semi- physical races and the Creation of Earth. The limitations of the non-physical races were that they could not fully interact with their environment. They could travel anywhere, without ships, and they could experience everything, on a purely energetic level, but they could not interact with anything. In order to overcome this limitation, the semi- physical races were Created about 30 million years ago. Hand in hand with the Creation of the semi- physical races, it was agreed, collectively by all of the souls connected with this Universe, that beings who lived a more full “physical” existence were required to provide the Creator with a full answer to It’s question. To fulfill this requirement, our solar system came into being (about 40 million years ago) which was charged with the task of developing a fully functioning “physical” body into which the souls of members of the non-physical races would fit in order for them to gain greater experience of the Universal potential. The result of all of this development work led to the creation of homo sapien sapien, in other words, humans, about 85,000 years ago on Atlantis. All of these new developments led to a total re- think of the way in which this Universe works and functions. With the successful development of humans on Earth, we took over the responsibility of finding the answer to the Creator’s original question. In other words, the events and developments on Earth determined the outcome of the search for answers within this Universe. We inhabit a Universe that is comprised of energy. The source of this energy is the “soul” from which this Universe is comprised. In other words everything that exists is a consciousness, a soul, and it is the energies with which the soul is Created that provide all of the needs of our Universe. In scientific terms, this “soul” energy is observed and measured in terms of being electro-magnetic. Gravity does not hold this Universe together. Dark Energy and Dark Matter do not hold this Universe together. Consciousness, soul, holds this Universe together. In order to understand this, we need to explain a little about the nature of the energies contained within “a soul”. We are used to measuring energy in terms of KW’s or Joules; these are a measure of the energy potential contained within some kind of action taken. This can be the energy required to do a job or the energy produced as that job is carried out. But there is another way of measuring energy and that is in dimensions. If you think of a radio dial, it is divided into “stations” with each station having a particular frequency. A dimension can be thought of as being similar to a radio dial in that a dimension, in energy terms, is a marker point along the whole range of energy frequencies that demarcates one group of energy frequencies from another. So a dimension is literally a measure of energy frequencies. The energies contained within a dimension are a collection of frequencies that are lower than the frequencies contained within the next, higher, dimension. To give some idea of the immensity of the energies contained within this Universe, the Akashic records that it contains the energy potential of 39 to the power of 39 dimensions – that is the number 39 followed by thirty nine zeros. That is the amount of energy made available to us by the Creationary source. When it comes to individual souls, the energy potential that each contains can also be measured in dimensions. As far as humans are concerned, our souls contain something in the region of 50 dimensions within the total soul. This total energy potential is divided between the Higher Self, the higher, non-physical aspects of the soul, and the Physical Self, the amount of soul contained within the physical body. The author is a psychic surgeon who has the ability to “read” energy frequencies, whether those energies are within the body or in the world around us. Over the thirty years that the author has been working in this way, he has consistently found that everybody contains roughly the amount of energy and dimensions. As stated above, the whole soul contains about 50 dimensions. However, the soul is divided between the higher self and the physical self. This division is along the lines of 75 per cent of the total soul is contained within the higher self and 25 per cent within the physical self. In other words, three quarters in the higher self and one quarter in the physical self, with the physical self containing roughly 12 dimensions. Although we usually divide the soul into these percentages, it can also be further divided. In order to live a human lifetime, the minimum “quantity” of the soul needed can be as little as 10 per cent (one tenth). For the past seven thousand years, we on Earth, have been exploring life on Earth as part of an investigation known as “The Human Plan” (see the author’s books for full details of this plan). Essentially, The Human Plan came about because we had difficulties living the kind of life that we should have been living on Earth. At the time of Atlantis, we had the whole of the soul within the physical body. However, we began to lose our ability to maintain this whole soul/body state and we realised that the problem was to do with the Earth’s base note energy frequency being too low to maintain the whole of the soul within a human physical body. 7,000 years ago, we formulated The Human Plan in order to discover what the Earth’s base note energy frequency needed to be raised to in order for us to reintegrate the whole of the soul back into the human body. In other words, instead of having only between 10 per cent and 25 per cent of the total soul in the body, the body would be able to contain and maintain 100 per cent of the soul. In order to investigate what the Earth’s base note frequency needed to be raised to, we decided to live a series of lifetimes (reincarnation) experiencing everything that it was possible to experience whilst we lived within a physical body on Earth. In order to maximise our abilities to experience, some people decided to further divide the soul in order that two, or more physical lifetimes could be lived at the same time. In order to live a human lifetime, the physical body only needed to contain a minimum of 10 per cent of the total soul. This meant that the higher self could further divide itself into human lifetime-sized “pieces”. In theory, the higher self could divide itself into ten separate lives all being lived at the same time. This total division of the higher self did not occur in practice but many souls divided themselves into living three separate but concurrent lifetimes. By dividing the soul in this way, it was hoped that we could experience life on Earth in such a way as to bring The Human Plan to an early conclusion. There were many complicating factors involved with human life on Earth and so we did not manage to complete The Human Plan as quickly as hoped. The reasons for these complications are outside the scope of this essay and are covered by the author’s books on the subject. However, The Human Plan is now coming to its completion. When we embarked on The Human Plan, we, and the Earth agreed on a 7,000 year time-span and this time-span reaches its end date at the end of 2011/2012. As we arrive at our point of completion, we are poised to reintegrate the whole of the soul back into the body and remain on Earth. In other words, we are completing this process of human development on the Earth Herself; we do not need to leave the planet as numerous channelled messages insist (see below). What would be the point of spending the last 7,000 years learning how to live on Earth as a true “Human Being” but then have to leave the planet in order to complete the process? If this were true there would not have been any point in beginning The Human Plan at all. As we have arrived at these “final times”, the soul has no need to be further divided and so the higher self has chosen a body into which it will fully merge. This process involves the removal of the multi- dimensional aspects from the body that has been built by the higher self and the percentage aspect of the soul that inhabited that body re-merges with the higher self. This means that the body that that aspect of the higher self built for itself has to die. This drawing together of the soul’s multi- dimensional aspects is accounting for a high percentage of deaths that are currently occurring. In “official” terms, we have a growing global population but this is not true. The official population web site shows a counter which rises by the count of one, approximately every second, reflecting an assumed birth rate. What these official counters do not show is the death rate. In other words, no matter how many people die, globally, their deaths are not counted in the official figures. According to the Akashic, our population peaked at 7,376,000,000 (7.4 billion) in 1996 and is currently, mid 2011, down to about 3,800,000,000 (3.8 billion) – the official figures show that we are currently heading towards the 7 billion mark. The figures in the Akashic are made up of both multi-dimensional deaths as well the deaths of those who have decided, for whatever reason, not to take part in the process of soul reintegration. There have been three distinct stages to the development of free-moving life within our Universe. The non-physical races were Created about 100 million years ago, our solar system came into being about 40 million years ago and the semi- physical races were Created about 30 million years ago. There are no differences between these souls, all are Created equal. In order for human life to develop on Earth, the souls who came here to take part in the experiment of physical life are primarily those of the non-physical races. In other words, 99.9 per cent of the souls who inhabit human bodies were the first souls Created to inhabit this Universe but, because of their limitations in their ability to experience, they chose to come to Earth and take on physical bodies. The other 0.001 per cent of the human population are souls made up from the semi- physical races. Note: both soul origins are equally valid and of equal importance. As human beings, those same equalities apply – no one is greater or lesser than another; just different. Each stage of Creation and development led on to the next stage until we arrive at the Earth and the life that She supports. The potential and possibilities that life at the physical energy patterns that we exist at were seen as a means by which all of the questions implicit within the Creator’s “What if..?” could be answered and so life on Earth became crucial to the existence of the Universe. By developing, and working through, The Human Plan we have answered virtually all of the Creator’s questions. However, one question remains: Is Human life possible? By Human life, the Akashic means the existence of a fully physical being that is capable of containing the whole of the soul. We achieved this goal on Atlantis but then lost it. Since then, the Earth has considered us to be “sub-human”. As we approach the end of 2011/2012, it looks as though we will achieve full Human status again. [Note complications section] Once we have completed our process of soul reintegration, the Universe will take on a new lease of life and all things become possible. There is, now, no possibility of failing to complete The Human Plan, it is only a question of how many will achieve soul reintegration. TO return to our theme of time-lines. When we encounter a problem, and what is needed to solve that problem, what we end up with is a series of steps, taken in sequence which will, hopefully, lead to a successful conclusion. But, in order for this problem to be solved, each step must follow on from another in a sequence of steps and a time-line is created. In other words, each step of our problem solving follows on from the previous step in a sequence that provides us with the answer to the problem. This sequence of steps follows a time-line to its conclusion. Only one time-line is generated. If we return to the quantum physicists’ concept of multiple universes and multiple time-lines, we can begin to see that this concept cannot answer our basic questions. Solving a problem is achieved by living through, or experiencing, what has gone before. By taking each step necessary, we add to our sum of knowledge and can arrive at the solution. If it were the case that every option we considered created a new set of problems then we would never end up with the solution but a multitude of new problems and we would rapidly deplete the resources of the Universe. This is what the theory of multiple time-lines does – it creates an infinite number of new problems whilst never answering the original question. Given that the purpose of our Universe is to answer the original question, then generating an infinite number of alternate universes and alternate time-lines would not help. It would also make our, human, existence meaningless and pointless. Our, human, lives do have purpose and that purpose has only come about because of what has gone before. In other words, previous attempts at finding an answer to the Creator’s question concluded that human life was necessary and was the only potential way of finding suitable solutions. In recent years, we have seen an inordinate rise in channelled communications. The Akashic records that over the last 50 years 90 per cent of all of these messages have originated from, or have been influenced by, one source. This source is one of the semi-physical races. The story behind these channelled messages is very long and complicated and has been covered in several of the author’s books, all we have space for here is a very brief summary. Everywhere you go throughout our Universe, you will find life. Most of the non-physical and semi-physical races have spread out throughout the Universe and live on many planets. One of the semi-physical races is different in that it has always chosen to remain within their own galaxy of origin; that is, until comparatively recently. The name of this race is the Velon [pronounced Vee’lon] although they rarely call themselves by that name. On Earth, we generally do not call ourselves “Earthlings” but prefer to call ourselves Australian, French or German etc. Or we might choose to call ourselves Jewish, Muslim or Zen Buddhist etc. It is the same with the Velon. They divided themselves up into six races that seem to be based on both religious and ethnic divisions. These six races are: Annunaki, Hathor, Mila, Oa, Johnaan and Jjundaa. An event occurred, about 1,000 Earth years ago, just outside of their home galaxy, which led them to take the view that they were “god’s chosen people” who should live on “god’s chosen planet”, namely Earth. Ever since this point of revelation, the Velon have been attempting to convince the inhabitants of Earth that we must leave the planet in order to “ascend to a 5th dimension” where we will achieve our “enlightenment”. The Council of Nine, the Galactic Council, the Galactic Federation, The Great White Brotherhood, Ascended Masters and Ashtar Command. They have also called themselves Ascended Sirians, Blond Nordic Humanoids, Abenaki, Alpha Draconians, Dracos, Orions, Elohim, Reptilians, Santinians, Venusians, Zetas and many, many others. Other disguises include: Ra, Metatron, Sananda, Mary Magdalene, The Christ Consciousness, Saint Germaine as well as many hundreds of Arch-Angels and Angels. The whole plethora of messages purportedly received from Angels, in the past number of years, have all arisen from Velon sources. Except for the types of messages about finding parking spaces: these are from your higher self. All of these channelled messages are an attempt to make us believe that we must leave the Earth if we are to stand any chance of increasing our levels of consciousness and that the Velon are here to take us off planet to an unspecified destination where we will “Ascend to a 5th dimension” and where the Earth will “Ascend” with us. As part of these deliberately misleading messages, they have also raised the concept of alternate time-lines. It is from these channelled messages that most peoples’ confusion about time-lines has arisen. As stated above, there is only one time-line that applies to this Universe there are no others. The Velon did attempt to build an alternate time-line, in order to cause us further confusion, but this attempt was stopped by those who guard our Earth. This Velon time- line was an attempt to by-pass the 2011/2012 end date. When questions about alternate time-lines arise, it is from these channelled sources that this disinformation has arisen. Given the total saturation of channelled messages that the Velon have generated, there is only one safe source of information and that is from your own higher self. As we progress through our path to consciousness reintegration, we all become closer to our higher selves and finding honest answers to our questions becomes easier. Do not be fooled by channelled messages as they will lead into the hands of the Velon and prevent you from making your own completions. Given my last post, this seems to be the appropriate time to follow up on this theme of how alarmingly infused our societal beliefs have become with “information” (Vee’lon lies) taken on as belief systems by much of the public including forum members. More than David Icke is covered in the following post from Turiya and researched jointly by Turiya and myself. It is also alarming to learn that NASA, the United Nations, and CERN were founded with information channelled by the Velon and much of it comes directly from the Theosophical Society which contains a veritable history of Velon lies and the occult. David Icke is an excellent researcher when it comes to the Masonic, Zionist, Jesuit, illuminati , corporate cabal. But he goes out of his depth when he talks about Reptilians and a hollow moon. People often say this is a conscious universe yet they continue to talk about it as if it were a mechanical universe. All planets are conscious souls with free will and intention. The atomic vortex is the basic building block of a sentient Universe. It is the source of plasma drive systems. Typical of scientists and esp. electrical engineers they has picked apart the atom to produce electron flow energy, while remaining oblivious to the fact that you can’t have over unity energy if you kill the holistic source – the atom. They can’t see the forest for the trees. CERN is a perfect example of this – looking for the “god particle” while smashing it up into smaller and smaller broken pieces. I realize some of the channellers and mediums (Edgar Casey) are fairly "worshipped" but keep in mind that you channel only because you don’t trust your own higher self who represents the inner you. Note: If you have been talking to a reptilian then you have been talking to a Velon is disguise and in many cases the same goes for angels and tall Nordics. 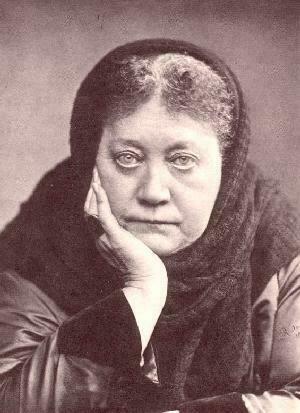 Although most recently popularized by David Icke, the notions of the connection of a worldwide conspiracy orchestrated by Reptilian beings, like the UFO mythos itself, has its origins in Theosophy, the occult tradition founded by H. P. Blavatsky, godmother of the New Age movement, and pre-eminent personality of the Occult Revival of the late nineteenth century. Essentially, Icke, like other conspiracy researchers such as Jordan Maxwell, Michael Tsarion, and Acharya S, is an ardent critic of the Illuminati, but presents the myriad speculations of Theosophy as the truth being suppressed. All his main teachings are Theosophical, and therefore identical to those of the Illuminati, which he is purportedly denouncing. As revealed in another excellent documentary by Chris White, called David Icke Debunked, Icke claims to be imparted with insights from a spiritual entity named Rakorski, who he also identifies with the name St. Germain, a notorious charlatan who was a key occult figure of the late eighteenth century, and regarded as a spiritual master of Freemasonry. 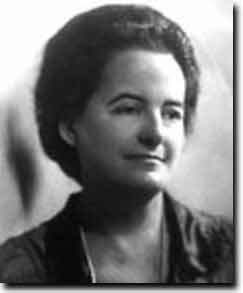 Thus the spirit channeling of the Occult Revival became the “UFO” contact of the twentieth century, a mythos that continued to be closely tied with Theosophy. Christopher Partridge wrote that the works of Bailey and Theosophy in general all influenced the so-called “UFO religions.” “UFO religions” are groups which deal with alleged communication between humans and extra-terrestrial beings, and include the Aetherius Society, Church of the SubGenius, Heaven’s Gate, Industrial Church of the New World Comforter, Raëlism and even the Nation of Islam. Masters though came “telepathically,” or by appearing to him from the etheric plane. During his first encounter he met the ascended master St.
at disrupting the Earth's energy patterns and human development are continuing. I was sent the link to the above article by way of Herbert. I am wondering if there is anything here that you were not aware of. I mean the part about David Icke and a spiritual entity called Rakorski. Thank you, Herbert, for providing the link to the David Livingstone article (12/08/2013). I have not delved much into David Icke. I have previously noticed that there was the youtube video present called Debunking David Icke, but was not compelled to really check it out until you sent me that David Livingstone article link. However, while going through the article, and what the various beliefs that have been propagated by those promoting New Age Theosophy. I’ve been quite aware that the very early UFO contactees & religious movements have pretty much all had strong connections to Blavatsky’s Theosophy, as well as alien entities that seemingly show themselves in various forms that the Velon use to disguise themselves with. representative in the 20th century. As I’ve written previously, I had particularly noted that Andrew Bartzis, along with fellow cohort Rob Potter, are strong proponents of the “I AM” Activity (Ascended Master Teachings), founded by Guy Ballard. They have held many gatherings in Mount Shasta & elsewhere. One of the main events that is promoted is that of attempting to open up a Mount Shasta Portal, which would allow alien (Velon) ETs access to planet Earth. The interview conducted by Lance White with Andrew Bartzis in fact was held in the Mount Shasta vicinity. Andrew Bartzis having specifically stated in that interview his belief that the alien races need to be involved with the upcoming transformation of planet Earth into the 4th & 5th dimensions. Hence, the purpose & proposal to followers to put their meditation efforts toward opening of Portals in various locations that they’ve held their gatherings – under the guise that Earth needs the help of such off-world aliens. Andrew specifically believes that the Anunnaki are victims in all of this just like us human beings are, seemingly “trapped” in a ongoing & endless recycling process of endless reincarnation. In a most recent question & answer youtube, Drunvalo promotes the notion that The Brotherhood of the Seven Rays (Alice Bailey material) now physically exists in Bolivia – (Was it not in Bolivia (or Peru) where David Icke received his first spiritual contact? 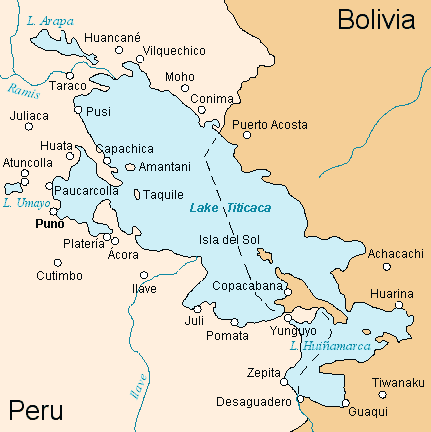 And also, did not Chris Thomas make reference to the fact that the Velon that resided in Tibet had made a move to Lake Titicaca, the Chris Thomas quote is below) – Anyways, on the side of the Andes mountain that faces the sun, as Drunvalo states, there is a crack in the side of this mountain. And upon entering this crack one will find what seemingly he describes as a kind of Shambhala, which is always warm, with lush tropical vegetation, with waterfalls. Accordingly, this is where the Brotherhood of the Seven Rays chose to place their physical location on Earth. Drunvalo continues to explain that ‘The Brotherhood’ is prepared to receive the 7.1 billion people on the planet as we go through the ascension process, to make sure that everyone will remain safe & secure – making sure that nobody will get lost on their way to the 4th & 5th dimensions – a kind of an alternate rendition to the people of the planet being picked up by spacecraft to take them off-world, imo. In a previous interview with Lilou, Drunvalo explains how he took 99 of his followers down within the Earth to meet with Plasma beings that have lived within the Earth for thousands of years. To me, this is another version of the Hollow Earth myth (and the belief of the Vril Society), except these entities can live within the molten lava. In that same interview (or close follow-up one), Drunvalo claims that these Plasma beings had visited him in a location in Sedona on top of some of the red rocks there. As we have both realized previously, the amount that the Velon have influenced the way human beings are thinking is quite massive. Wondering how humanity will ever come to rise above all the BS that has been propagated is undeniably a daunting affair. I can see why Jordan Maxwell has come to believe that the human race will not win the fight against those that intend to rule this world & make the rest of us part of their slave empire. Last edited by Herbert, 24th October 2015 at 22:24. "As we have both realized previously, the amount that the Velon have influenced the way human beings are thinking is quite massive. Wondering how humanity will ever come to rise above all the BS that has been propagated is undeniably a daunting affair. I can see why Jordan Maxwell has come to believe that the human race will not win the fight against those that intend to rule this world & make the rest of us part of their slave empire." I do not agree with this..